Have Mike come speak with your team! If you would like Mike Figliuolo to come speak at your organization about The Elegant Pitch and the Structured Thought & Communications method, you can contact him below. He is also available to teach the Structured Thought & Communications training course. 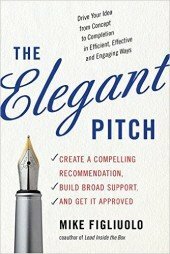 Please contact us to learn more about bringing the program behind The Elegant Pitch into your organization.